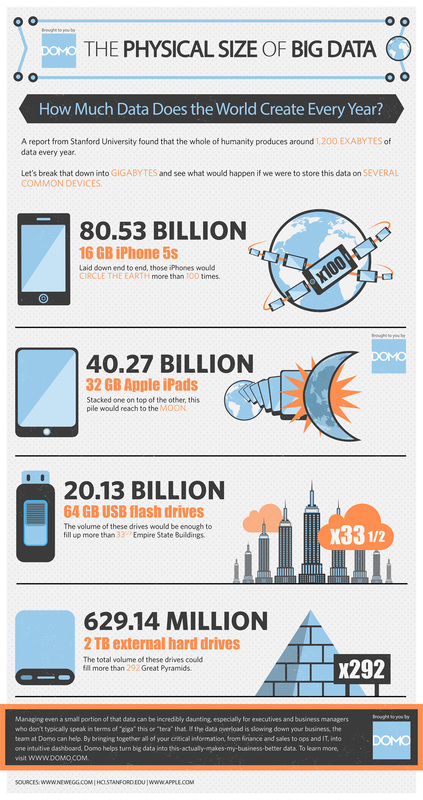 I can still remember the first time I saw a 1 GB flash drive—it blew my mind. This device, the size of my thumb, could hold the information of 711 3.5-inch floppy disks. Manufacturers had become bona fide magicians, capable of shrinking data right before my eyes. But it’s a darn good thing that data is occupying less space these days, since we’re seeing it increase astronomically in volume. The most critical challenge we face is transforming all this “big” data into “this-actually-makes-my-business-better” data. And when you’re dealing with enough data to reach the moon, that’s no easy task.